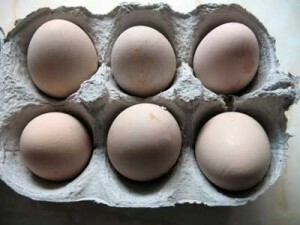 Before incubation guinea fowl eggs can be stored for up to 7 days. Store guinea fowl eggs with the pointed end facing downwards. When storing guinea fowl eggs before incubating, make sure that they are kept at a constant temperature of 18-20 degrees Celsius or 64.5-68 degrees Fahrenheit. Make sure the stored guinea fowl eggs are turned daily before they are incubated. Before incubating the guinea fowl eggs make sure that the incubator is thoroughly cleaned and disinfected. 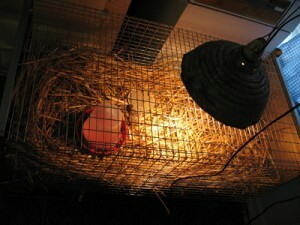 Place the incubator in a room with a constant temperature. Always check that the incubator is in working order before adding the guinea fowl eggs. 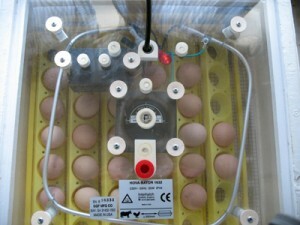 Allow the incubator to warm up and adjust to the correct temperature before adding the guinea fowl eggs. The incubation period for a guinea fowl egg to hatch is 28 days. The length of the incubation period can vary between 26 and 30 days, if the temperature or humidity is incorrect in the incubator. The correct temperature in the incubator is 37.5 degrees Celsius or 99.5 degrees Fahrenheit, decreasing to 36.5 degrees Celsius or 98.5 degrees Fahrenheit during the final three days of incubation. The correct humidity is 65% until day 25 and then rising to 80% until day 28. Humidity is generated by the addition of water in the water troughs at the bottom of the incubator. Ensure that the water troughs are filled with water at all times. The guinea fowl eggs need to be turned daily and this can either be done by hand, or alternatively by an automatic egg turner. An automatic egg turner is placed in the incubator and will turn the eggs every 4 hours. The final day of guinea fowl rotation is day 25 when the eggs no longer need to be turned. When egg turning stops, the automatic egg timer can be removed. A day or two before the scheduled hatching of the guinea fowl eggs, add clean water to all the troughs to raise the humidity. Keep a daily record of incubator data. When the guinea fowl eggs start to pip allow 24 hours for the hatch to complete. Most guinea fowl eggs will hatch within the incubation period, but sometimes weaker guinea fowl chicks (keets) may hatch a day or two later. Only remove the keets when they are dry. Move the keets to a brooder with water and chick crumbs as soon as possible. Discard any unhatched guinea fowl eggs after four days of the main hatch. Remember to thoroughly clean and disinfect the incubator after each set of eggs have hatched. 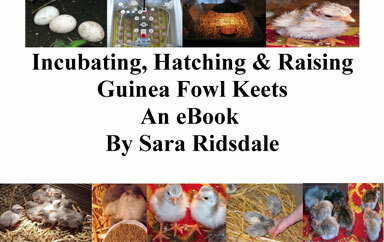 If you are interested in incubating and hatching guinea fowl eggs then you may find the Incubating, Hatching and Raising Guinea Fowl Keets eBook useful. If you keep guinea fowl and want to ask a question, get some advice or just to chat about your guinea fowl then why not join the free farmingfriends guinea fowl forum. Thanks for visiting farmingfriends and sorry to hear that your guinea fowl keets are not making it. If you are vets aren’t too expensive then you could take one of the dead keets for a post mortem so that you can find out for certain what they have. I did this with a quail and it only cost £17. Hope your remaining keets are ok. Let me know how they progress. I have no trouble hatching guinea eggs but I can’t keep the keets alive more than a couple of weeks. They get good wing feathers, are very active but just seem to lie down and die after having a “posture” problem. They are in with some hens chicks that are a bit older and seem to see them as “mum” but I just don’t know what is wrong. Any assistance would be much appreciated as it’s very dis-spiriting when they die. Hi i am a hobby farmer and i am trying to hatch guinea fowls, I would like to ask a few questions. I am getting mixed information on the temp for incubator hatching. I also hatch chickens in the same incubator is this going to affect the guinea fowls? When candling am I looking for veins, or some sort of spot?? When is the best time to put the keets into a roost?? Also how should i care for the aggs while they are being collected and I am waiting for the rest to be layed since I only have a few hens?? Any information that you can think of that will help and would be most appreciated. Thank you for your time. Thanks for your question about guinea fowl sitting on eggs. I was under the impression that hens can tell if the eggs are fertile as they can feel movement in the latter stages of incubation, but I could be wrong. I wonder if the eggs that she is sititng on are the hens, maybe you can move the guinea hen abit to see as I know from experience it takes alot to disturb a guinea fowl hen once she has gone broody so just lifting up her feathers to see the eggs may not disturb her, but I would use a long stick to do this as she may be aggressive and the peck of a broody guinea fowl hurts! Any eggs that your guinea fowl hen lays are not likely to be fertile if she is not running with any guinea fowl and you say that her mate died 2 months ago which I am sorry to hear. Hope this helps. Let us know how she gets on. My guinea fowl’s mate died about two months ago, but she’s been laying on eggs for a few weeks now. Would she be able to tell if her eggs were infertile? We also have chickens, is it possible she could have taken over one of their nests? I have just obtained some Guinea Fowl eggs to put in my Brinsea octagon incubator. It does not control humidity but does turn automatically. It seems to work well with chickens – not quite so well with ducks. I am now trying Guinea Fowl. 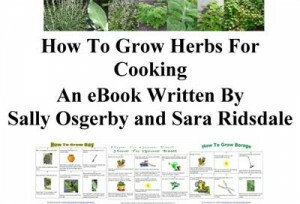 I have seen various websites siting a range of temperatures – one says 100.5F works best, another suggests 37.5C for the first 14 days and then 37.65 for the next 14 days and then reducing to 37.3 for hatching. The guy I bought my eggs from uses a hatchery near by (very old large scale incubator) where he takes all his eggs – duck, geese, turkey and guinea fowl. The temperature is the same for all – only the time to hatch varies. His Guinea Fowl take 33 days – not the 24-26 the book says. Now this is Malaysia where humidity is high and outside temperature is high also. He also says his Muscovy ducks hatch in about 30 days not the 35. he has been doing this for 4 years and he has not had many problems – Guinea Fowl and Muscovy around 80% – only geese a bit low at 60%. Thanks for this advice. 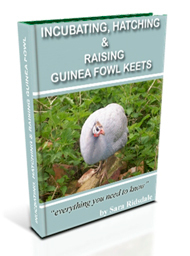 I have heard others say that they have lost guinea fowl keets under a hen. Glad to hear that 11 out of 13 are doing fine. Guinea fowl keets love shredded lettuce and prefer their water to be warm. I put marbles in the drinker so that they don’t get their head in and drown. i had a broody hen sitting on my guinea eggs. i found its best to remove them after they have dried. she was either crushing them because they are smaller or they just could not breath. but i did get 11 out 13 that are doing fine.